Hiperdist, a leading technology distributor and solution provider. has announced the launch of its fully owned state-of-the-art facilities at the Boulevard Plaza Tower – 1 in Emaar Square within Downtown Dubai. A part of CIS Group, Hiperdist said the move is aimed at supporting its growth and expansion in high-growth markets across the Middle East and Africa region as well as to boost its pivotal position in Dubai. 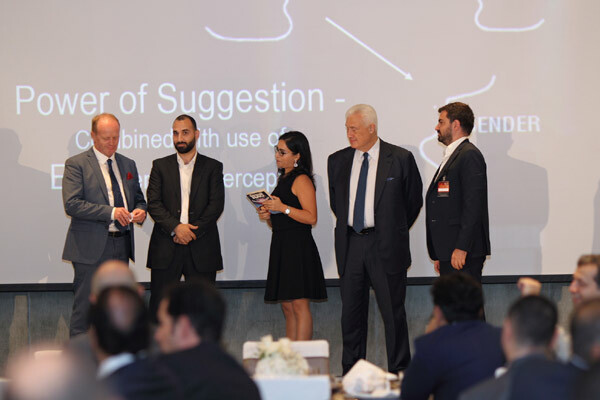 To mark the occasion, the company organised ‘Unveil 2018’ a select launch event at the exclusive BVLGARI Luxury Resort Dubai this week for its top clients and vendors that included the region’s most prominent technology leaders. Playing the emcee at the event was international TV & Events presenter Rania Ali who is a regular at high-profile government ceremonies and conferences. The guests were entertained by Asia’s finest mentalist Deepak Rao, who was especially flown in for the event, and thrilled the guests with his famous ‘extra sensory perception’ show. Hiperdist is an established value-added distributor for some of the biggest global brands and is well-positioned in the MEA as a leading technology distributor and solution provider. Group CEO Dr Antoine Kareh said: "We are delighted to launch our new premises in Emaar Square, Dubai’s most prestigious address that has been equipped with the finest facilities and cutting-edge technology, and supported by a highly specialised and experienced team." Some of the top brands that Hiperdist currently has in its portfolio include Canon, Lenovo, Acer, Asus, Avaya, Vertiv, ViewSonic, Synology, Zotac and G.Skill. In addition, at a group level, the company has had long, outstanding relationships with leading groups including Oracle, Cisco, NetApp and VMware. Hiperdist has made an investment of $2.5 million in its latest office facilities and conference centre. In addition to hitech offices and meeting rooms, it is equipped with training space and hosts a solution centre for demos, proof of concept services, as well as to deliver sales and technical trainings to its channel partners. Hiperdist General Manager Santosh Sansare said: "Our new facilities will give us a definite competitive edge and will allow us to meet the demands of the new technology while accelerating our planned expansion."